You know what I really love about it too? Companions. You form a lasting bond with them. If Dogmeat or Fawkes died or I lost them, I don’t care how much I had done since my last save.. I was reloading it for them. It’s the same for Lydia. Sometimes I want to strangle her and occasionally I don’t feel guilty for setting her on fire, but if you harm her.. I will kill you. Same for horses too weirdly. Once a dragon killed my horse. I hunted him down and made him pay. (I’m not reloading my game for a horse.) I have a love/hate relationship with Lydia. I will never swap her for another companion. Besides, if I let her die how am I going to carry all my steel ingots home? The one thing I really wish Skyrim provided, which is something I really enjoyed about Mass Effect, is being able to have conversations with my companion. There’s only so many times I can listen to the importance of being a house-carl or how she is “sworn to carry my burdens” or “hey, look, a cave!”.. after I’ve finished looting it. I suppose the huge amount of people wandering around makes up for that. Funnily enough I’ve only ever heard “took an arrow to the knee” twice considering. But seriously.. I’d be totally dead without you Lydia. The quests have been so much fun too! The amount of times I’ve woken up to find I’ve been kidnapped or I’ve “forgotten” about that goat I stole.. it’s just crazy! Obviously there’s your generic kill-the-raiders-for-a-bounty quests which are easy enough to breeze through, but there’s a couple I’ve stumbled upon that are just.. crazy! I’ve been thrown in jail for murders I didn’t commit, I’ve killed ghost stags and hunted werewolves, I’ve helped talking dogs return to their master, I’ve woken up after a really bad hangover to discover a massive drunken mess I left across Skyrim.. there’s just so much STUFF to do! I can’t help but absolutely love this game. Oh, and the graphics, and the map, and the landscapes.. just STUNNING. I’ve recently started diving into 3D game programming and everything I’m making is just like “why isn’t it as good as Skyrim! ?”, it’s beautiful! Yes, yes.. generic-talk-about-Skyrim-time. But how can you not stand on top of a mountain and look out into the distance and see towns, cities, dragons and not be absolutely stunned? It’s just awe-inspiring. OK, it’s a bit brown. But a STUNNING brown. Skyrim isn’t obviously everyone’s cup of tea. I have tried and tried and tried to convince some people to play it but they’re either just not into RPG’s or are blind and stupid. I haven’t even been fussed about my lack of achievements playing this game because it’s just too darn AMAZING. I can play it for hours and not care. My mother does.. wasting time on these silly games. But it’s just an engaging and beautiful game! Just one more quest before bed! You know the drill. 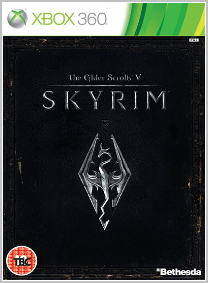 It’s safe to say I don’t need a social life when I have Skyrim. Does anyone else compulsively collect Nirnroot too? Just in case?! I blame this quest.